Visit Catacombe di San Callisto and Palatine Hill for their historical value. Get a sense of the local culture at Via Condotti and Vatican Museums. There's lots more to do: steep yourself in history at St. Peter's Basilica, admire the landmark architecture of Pantheon, browse the eclectic array of goods at Porta Portese, and ponder the design of Trevi Fountain. 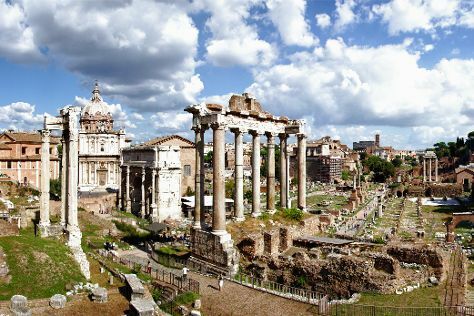 To see where to stay and more tourist information, use the Rome driving holiday planner. If you are flying in from Australia, the closest major airports are Leonardo da Vinci–Fiumicino Airport and Ciampino–G. B. Pastine International Airport. In September in Rome, expect temperatures between 32°C during the day and 18°C at night. Wrap up your sightseeing on the 15th (Tue) to allow time to travel back home.